When you are injured on the job, you have a reasonable expectation (assuming your employer is insured) that you will be eligible for workers’ compensation to cover your medical bills and missed work time. However, what many are unaware of is that there are multiple categories under which an injury can be classified. It is generally easier to have your case go quicker when your injury is more severe, but it is not always the case. One major important notion that you must be clear on before determining how much you may be entitled to is the concept of impairment rating. Impairment is measured by degrees, with every degree of impairment measuring a more severe degree of injury. The relevant law holds that a doctor or other appropriate medical professional must be the one to calculate the rating, and this is generally done once you have reached what the law calls Maximum Medical Improvement (MMI). This is a complex undertaking, which is why it is recommended that a professional make the determination. That said, impairment and total disability are not the same thing. Impairment is also referred to as partial disability, and can mean anything from being able to work with accommodations to being able to work at the same company in a different job. Temporary and permanent impairment come with the same issues, merely for different time frames. You are considered temporarily partially disabled (impaired) if you are able to work, but unable to earn at least 80 percent of your regular wages. Total disability means you are unable to resume work to any degree. Total disability is a more stringent standard than mere impairment, and as such, is hard to meet. Under Florida law, the requirements for permanent total disability are only said to have been met when a person can demonstrate that they are unable to engage in any kind of employment within 50 miles of their home, and that that inability is due to injuries sustained in a workers’ compensation-related accident. This is an extremely difficult standard to comply with, not least of all because some injuries are very difficult to present concrete evidence to show (such as, for example, posttraumatic stress disorder [PTSD] or a condition like epilepsy which only becomes dangerous in the midst of an attack. Permanent total disability payments are generally made for life, though the exception is if and when the person turns 75 years of age – at that point, the person may be eligible for Social Security benefits. However, state law does hold that if the person has been prevented from working enough quarters to be able to be eligible for Social Security, they may continue to receive benefits. You must still be able to show that specific injury is the reason why. 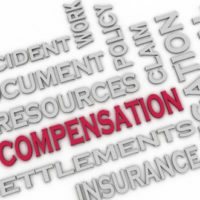 Workers’ compensation is a confusing area of law even when the claim itself is straightforward. If you have questions or concerns, the knowledgeable Orlando workers’ compensation attorneys at the Hornsby Law Group are happy to try and assist. Call us today to schedule an initial consultation.